It just goes to show, that once your mind has been pumped full of militant Islam. Even Muslims sworn enemy the Jews can be turned into Islamists who incite jihad. 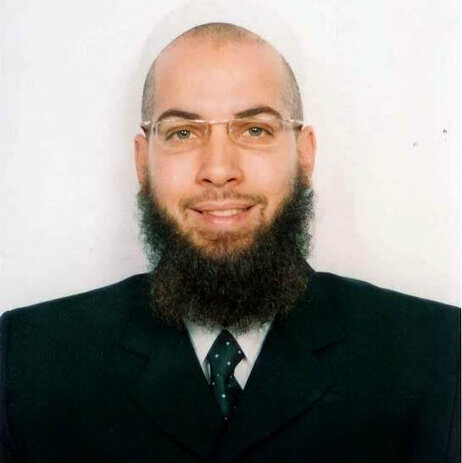 Yousef al-Khattab helped found Revolution Muslim, a website that published extreme Islamist propaganda. Al-Khattab, who was born Joseph Cohen and was raised in a Jewish family in New Jersey, faces sentencing Friday after pleading guilty to terrorism charges. Yousef al-Khattab helped change the way young Muslims were radicalized by spewing extreme Islamist propaganda on a YouTube channel. Now al-Khattab, who was born Joseph Leonard Cohen and was brought up in New Jersey and in Brooklyn in a Jewish home, tells NPR he made a big mistake and describes himself as a “failure.” He’s scheduled to appear in a federal court in Alexandria, Va., on Friday to be sentenced on terrorism charges. The case is significant because al-Khattab, now in his mid-40s, is one of the founders of a radical Islamist group called Revolution Muslim, which became a gateway for young jihadists in the U.S. looking to join violent Islamist groups overseas. Back in October, al-Khattab pleaded guilty to using the RevMuslim website to “place persons affiliated with Jewish organizations … in reasonable fear of death or serious bodily injury.” And for doing so, he faces up to five years in prison. Then he posted a photo of a Jewish organization in Brooklyn, with directions on how to get there, adding that it tended to be full at prayer time. “They interpreted me giving the message of Islam as being a threat to the Jewish community, which it wasn’t,” he began explaining. When asked how providing addresses and pictures of people in the Jewish community after an anti-Semitic screed could possibly be misinterpreted, he bowed his head. After growing up in New Jersey, he converted to Islam in his late 20s, when he was living in the Middle East. When he returned to the U.S. in 2007, he helped start Revolution Muslim. He says he “fell in” with people who were more radical than he was, but law enforcement officials say al-Khattab spearheaded the group’s radicalization efforts. Mitch Silber used to be the New York Police Department’s highest-ranking terrorism expert and ran its Terrorism Analysis Division. Now he runs K2 Intelligence’s Data Analytics practice. He said for a time after 2007, Revolution Muslim appeared to have some connection to almost every formal terrorism investigation they opened. Revolution Muslim and al-Khattab ushered in a new era of jihadi radicalization. It used to be that young Muslims traveled to terrorist training camps in Pakistan, Afghanistan or Yemen after being radicalized by recruiters from terrorist groups. Revolution Muslim’s YouTube channel and website made one-on-one recruitment unnecessary. The group could goad young Muslims to action with provocative posts on the Web. They put up videos of a radical cleric known as Sheikh Abdullah Faisal who, among other things, preached that it was good to kill those who don’t believe in Islam. Faisal is now in Jamaica, where local Muslim groups have shunned him and his radical message. Revolution Muslim posted a video that championed Osama bin Laden and the 911 terrorists as heroes. After the 2009 Fort Hood shooting, in which Army Maj. Nidal Hassan killed 13 people, al-Khattab publicly lauded his actions. He and other members of Revolution Muslim demonstrated in support of Hassan and put the video of their protest up on the Web. All of this provocation seemed to work — RevMuslim followers prone to violence began coming out of the woodwork. Between 2008 and last year, nearly every violent Islamist arrested in this country on terrorism charges seemed to have some connection to the group. The Philadelphia woman known as Jihad Jane, arrested in 2009 for plotting to kill a cartoonist who had drawn the Prophet Muhammad, was a RevMuslim follower. Samir Khan, the North Carolina man who edited an al-Qaida magazine and was killed by a drone while riding in the same vehicle as radical American cleric Anwar al-Awlaki in Yemen, was a frequent visitor to the group’s chatrooms. Zachary Chesser, a Virginia man who blogged for RevMuslim, was arrested boarding a flight to Somalia. He was traveling to join al-Shabab, a group linked to al-Qaida. Al-Khattab was the last of the group’s core leadership to have evaded authorities, until he pleaded guilty last fall. Al-Khattab said now his concern is that his prison sentence will raise a rallying cry in the very radical forums that he helped create. He says he doesn’t want to be lionized as a religious warrior — a mujahadid.